Since 1993, Netherlocks is a premium manufacturer of industrial valve safety solutions such as valve interlocks, valve position indicators, partial stroke testing devices and portable valve actuators. The Netherlocks head office and factory are based in The Netherlands. Local service centers are established in India, USA, Germany and the Middle East. In close cooperation with our customers, our employees create simple, reliable, tailor made products. Through their dedication to offering excellent quality and continuous service, Netherlocks has established itself as the leading valve safety specialist. 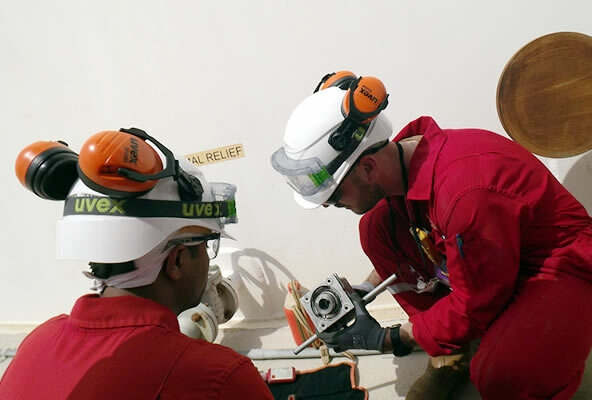 Nowadays our products are an integrated part of the installations of all Oil and Gas end-users, contributing to the safety of their workforce. Together with a global distribution network and local service partners, Netherlocks is a truly global company with the ability to offer a high level of service locally.